William Dereume is a cartoonist from Vancouver. 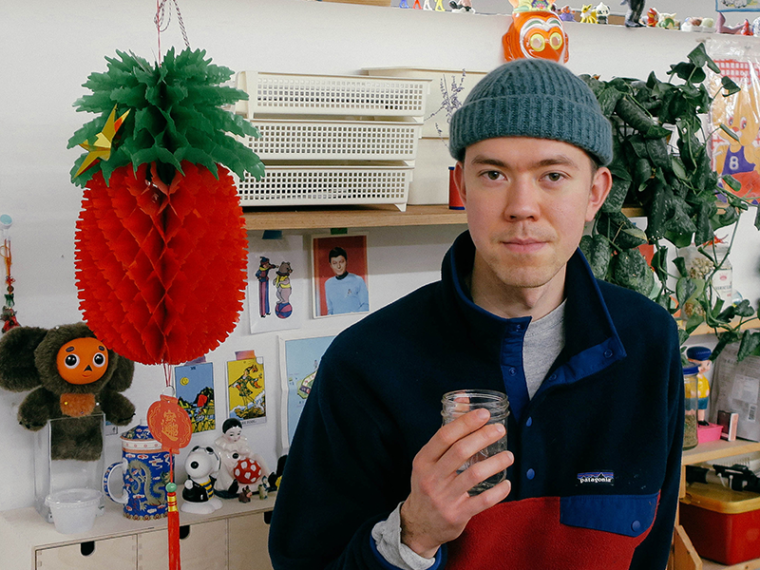 His work is focused on a world called Eggshell and its inhabitants are semi-pictographic characters who work in synchronicity and discord, to collectively function like a language. Dereume understands comics as a channel where the ambiguous and felt, can become material, while complex ideas are read intuitively and understood empathically. 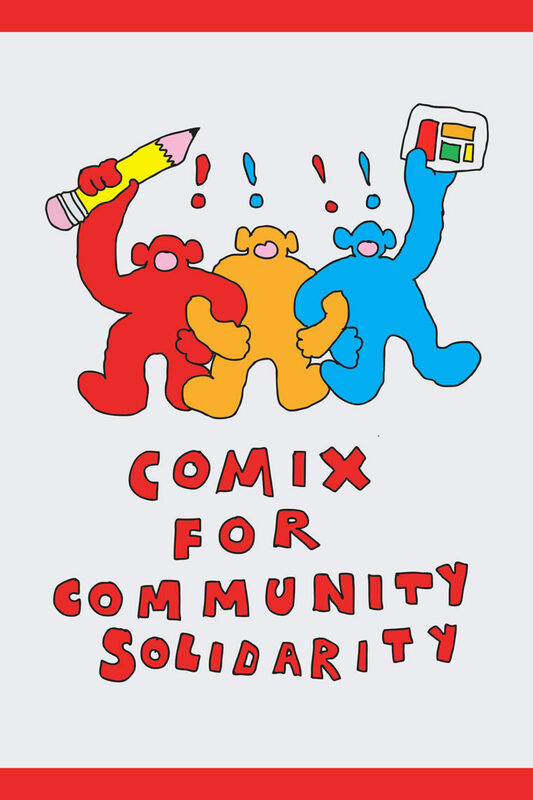 Beginning in January 2018, Dereume will work with 221A Librarian Vincent Tao to develop Comix for Community Solidarity, a social infrastructure program that brings together artists, their institutions, and communities of struggle. Between Fall 2018 and Spring 2019, participating artists will work with groups that organize communities to combat the city’s escalating housing and overdose crises from below: Ali Bosley with the Vancouver Tenants Union (VTU), Jack Lloyd with the DTES SRO Collaborative, and Andrea Lukic with the Vancouver Area Network of Drug Users (VANDU). Together, they will produce a series of three comic publications that tell the stories of Vancouver communities working to survive and fight for liberation. The production and distribution of the publications will be collaboratively planned between 221A and the partnering groups as a means to build new solidarities and serve the struggle for a more common world. This October, Comix for Community Solidarity invites artist Cole Pauls to host a two-part reading group and artist talk on Indigeneity in comics at Pollyanna 圖書館 Library. Dereume is a fellow of Notes on Permanent Education (N.O.P.E. ), a collective research program convened by 221A Librarian Vincent Tao. N.O.P.E. 2017 inaugurates the organization’s new fellowship model and its primary support, Pollyanna 圖書館 Library.